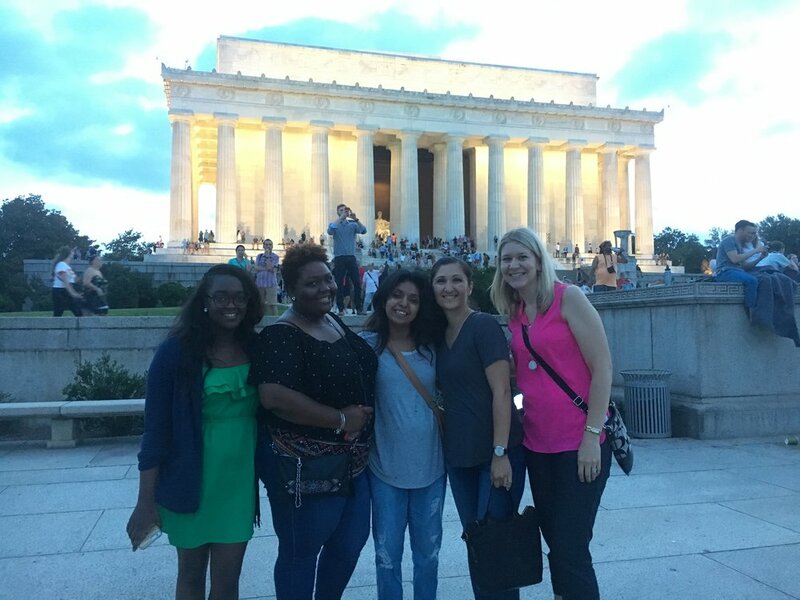 Parents as Teachers Takes Home Visiting Message to Washington, D.C.
MacKenzie Grayson, Supervisor for the Parents as Teachers program in the Normandy Schools Collaborative and former PAT participant, recently met with U.S. Senator Roy Blunt in Washington, D.C. MacKenzie was part of a group of PAT moms and parent educators from several states who traveled to the nation’s capital last week to visit with lawmakers. Others included Daniela Cardenas (PAT mom) and her Parent Educator, Rosy Torrico from Washington, Flora Nyakatura (PAT mom) and her Parent Educator, Lauren Ware from Kansas. They were honored at the national Home Visiting Coalition’s “Seeding Success” event. At the event, Rosy and Daniela also presented Rep. Reichert (R-WA-8) with a home visiting champion award. They also made visits with U.S. Sens Blunt (R-MO), Roberts (R-KS), McCaskill (D-MO), Murray (D-WA), Cantwell (D-WA) and Rep. Yoder, (R-KS-3) to talk about the reauthorization of the federal home visiting program, MIECHV.